Horticulture is the primary industries’ quiet achiever - expanding, growing and meeting global consumer demands for healthy food. Growers play a valuable role in the New Zealand economy, both at a local level as producers, employers and food suppliers to New Zealanders, and with exports, which have increased by 40 percent in the two years from June 2014 to 2016. Today, 60 percent of what we grow in New Zealand is exported. The horticulture conference is the annual opportunity for industry to get together and share ideas, learn about innovation to improve their business, hear inspirational and influential speakers, connect and socialise. It is the place to be. Register online, it's quick and easy! Check out the accommodation we have booked for you! 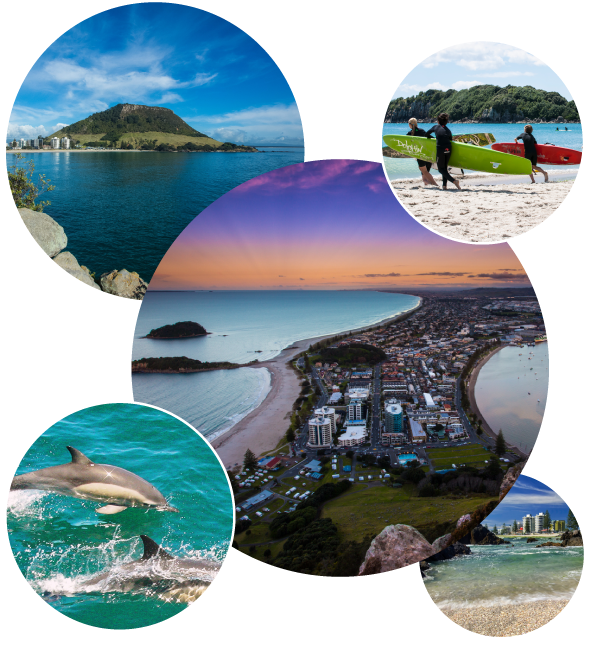 When it comes to sun, sand and surf, there’s no place like Tauranga, New Zealand's 'choice' holiday and lifestyle destination in Bay of Plenty. Tauranga is New Zealand’s fifth largest city and home to an estimated 125,000 people. The city sits right on the water’s edge and is well-known for its blue skies, warm climate, sparkling harbour and relaxed lifestyle. We have a great selection of central accommodation options for you to choose from. Let us take the hassle out of organising your stay while in Tauranga.